Musings on Music’s Muse: Searching for Truth at the Intersection of Formal and Aesthetic Beauty. In this talk Dr. David Smith presents the case for a reinterpretation of Wolfgang Amadeus Mozart’s full throated entrance into the world of popular commercial theatre with his last Opera die Zauberflöte (The Magic Flute, 1791). In the context of Dr. Smith’s ongoing composition of an operatic sequel to die Zauberflöte, he discusses the nature of both formal (derived) and aesthetic (revealed) beauty in music. 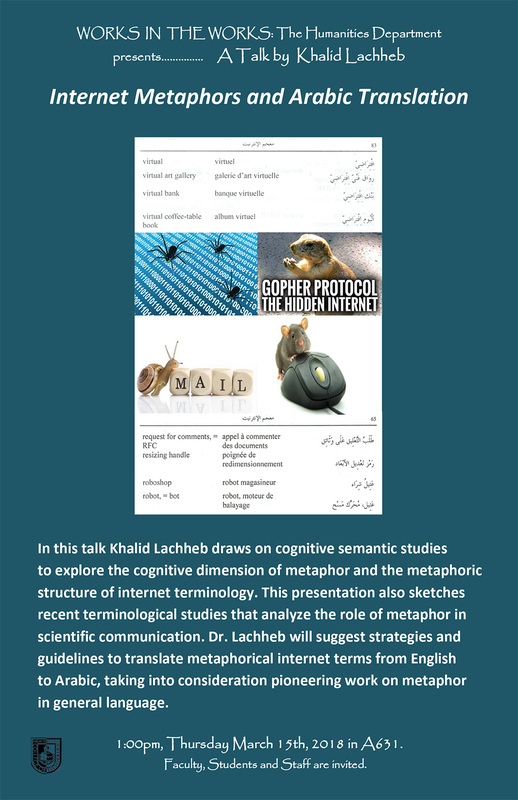 In this talk Khalid Lachheb draws on cognitive semantic studies to explore the cognitive dimension of metaphor and the metaphoric structure of internet terminology. 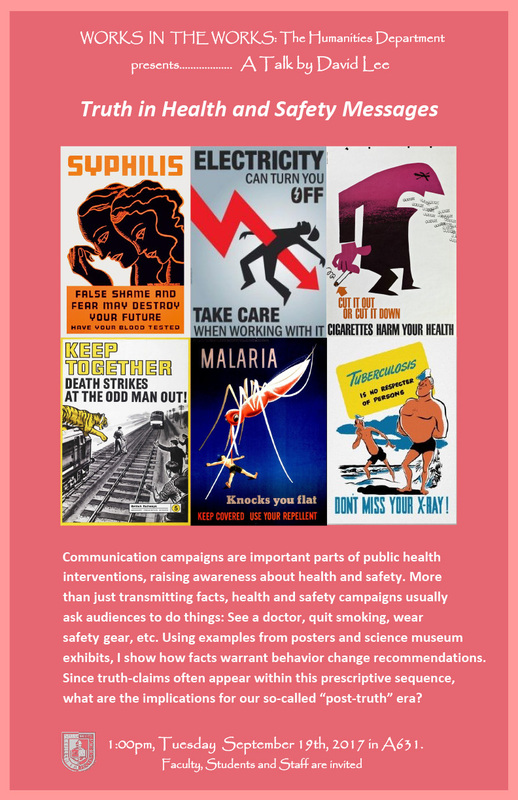 This presentation also sketches recent terminological studies that analyze the role of metaphor in scientific communication. Dr. Lachheb will suggest strategies and guidelines to translate metaphorical internet terms from English to Arabic, taking into consideration pioneering work on metaphor in general language. 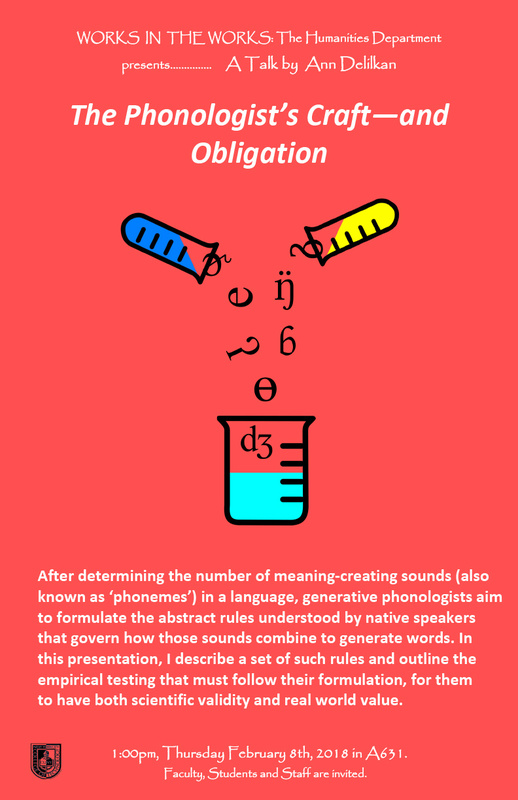 After determining the number of meaning-creating sounds (also known as ‘phonemes’) in a language, generative phonologists aim to formulate the abstract rules understood by native speakers that govern how those sounds combine to generate words. In this presentation, I describe a set of such rules and outline the empirical testing that must follow their formulation, for them to have both scientific validity and real world value. 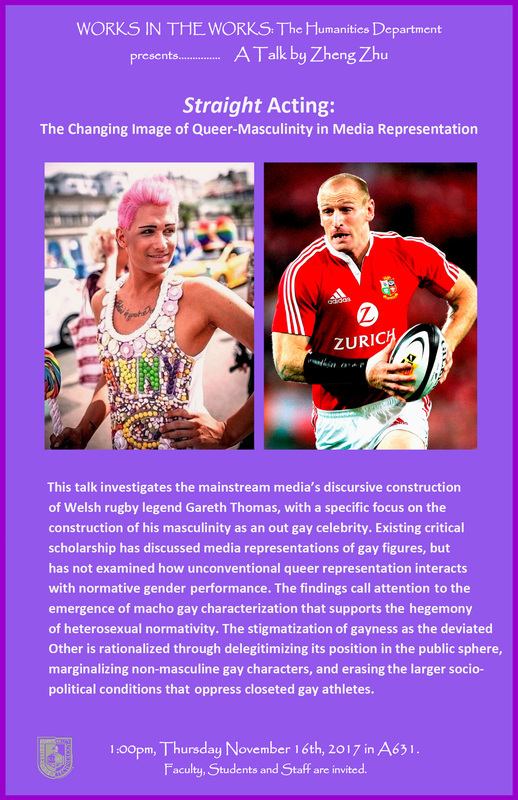 This talk investigates the mainstream media’s discursive construction of Welsh rugby legend Gareth Thomas, with a specific focus on the construction of his masculinity as an out gay celebrity. Existing critical scholarship has discussed media representations of gay figures, but has not examined how unconventional queer representation interacts with normative gender performance. The findings call attention to the emergence of macho gay characterization that supports the hegemony of heterosexual normativity. The stigmatization of gayness as the deviated Other is rationalized through delegitimizing its position in the public sphere, marginalizing non-masculine gay characters, and erasing the larger socio-political conditions that oppress closeted gay athletes. Faculty, Students, and Staff are invited. Refreshments served. 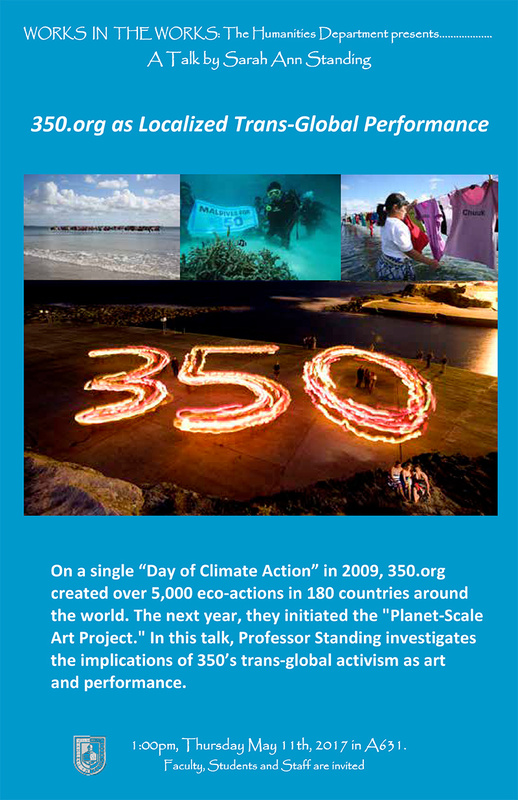 On a single “Day of Climate Action” in 2009, 350.org created over 5,000 eco-actions in 180 countries around the world. The next year, they initiated the “Planet-Scale Art Project.” In this talk, Professor Standing investigates the implications of 350’s trans-global activism as art and performance. 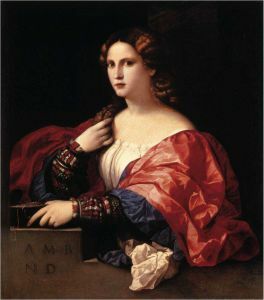 Sixteenth-century Venetian painters catered to the niche market for pictures of “disheveled” women, a new genre of portraiture—half-length, close-up, pictures of women with hair and clothing in slight disarray. Pin-ups, really, for a gentleman’s delectation. 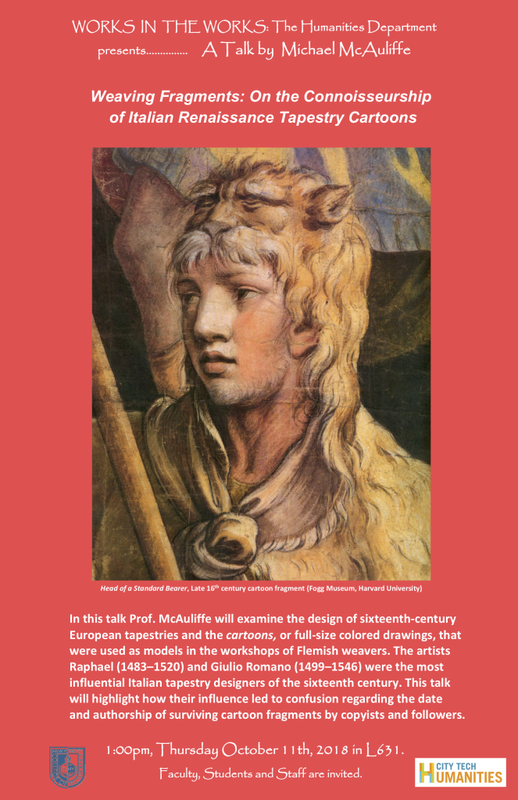 Dr. Santore will discuss this new genre of painting and its progeny. 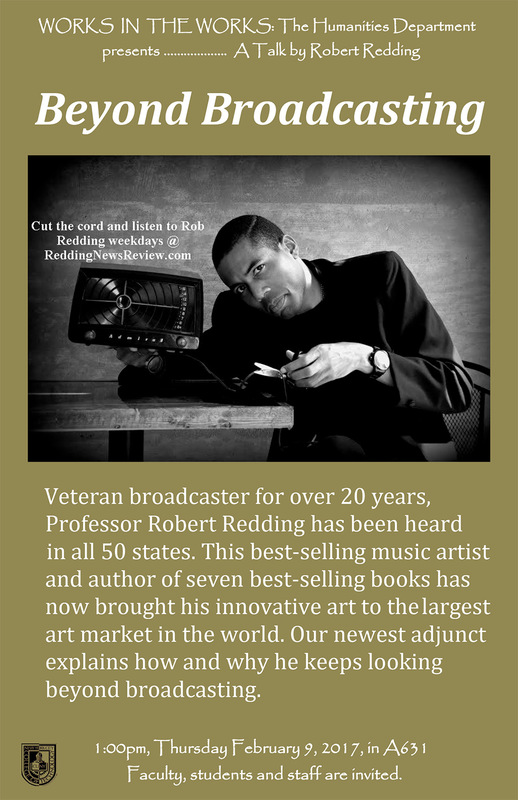 Veteran broadcaster for over 20 years, Professor Robert Redding has been heard in all 50 states. This best-selling music artist and author of seven best-selling books has now brought his innovative art to the largest art market in the world. Our newest adjunct explains how and why he keeps looking beyond broadcasting. Faculty, Staff, and Students are welcome. In June Cleaver’s home, reproductions of Thomas Gainsborough’s The Blue Boy (1770) and Sir Thomas Lawrence’s Pinkie (1794) hang in the foyer. 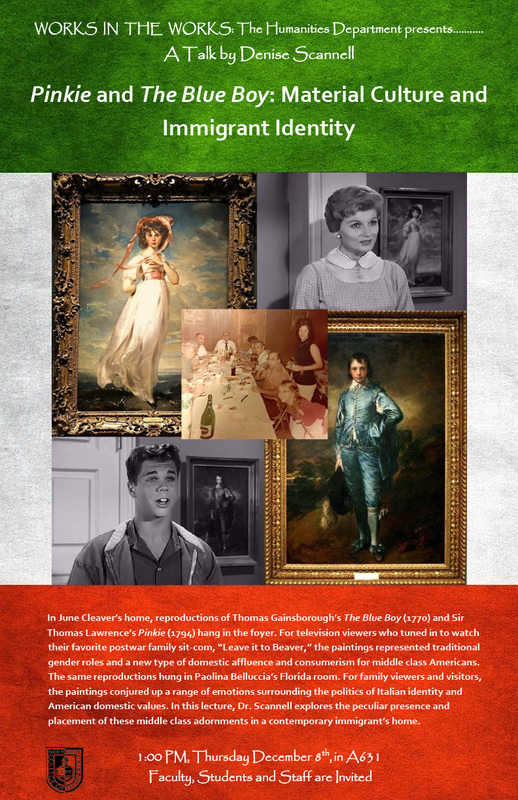 For television viewers who tuned in to watch their favorite postwar family sitcom, “Leave it to Beaver,” the paintings represented traditional gender roles and a new type of domestic affluence and consumerism for middle-class Americans. The same reproductions hung in Paolina Belluccia’s Florida room. For family viewers and visitors, the paintings conjured up a range of emotions surrounding the politics of Italian identity and American domestic values. In this lecture, Dr. Scannell explores the peculiar presence and placement of these middle-class adornments in a contemporary immigrant’s home.